Spencer Castro is a National Science Foundation Pre-Doctoral Graduate Research Fellow (GRFP) at the University of Utah, working with Dr. David Strayer. Spencer was awarded the NSF GRFP for research on the capacity of attention under cognitive workload, particularly in the context of technology and multitasking. He focuses on the validity of reaction time and accuracy as measures of different aspects of workload, as well as quantifying the risk of adverse outcomes due to these workload metrics in driving. 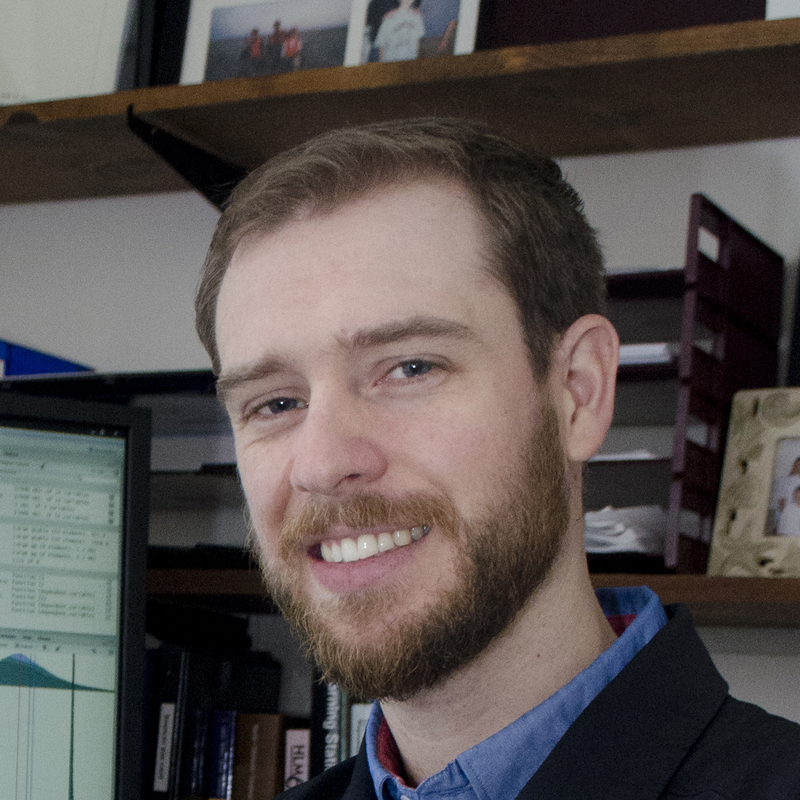 He employs advanced cognitive modeling techniques to examine the mechanisms of attentional capacity, multitasking, and performance. In a recent publication in the Journal of Experimental Psychology: Human Performance and Perception, Spencer and collaborators propose new mathematical models for analyzing reaction time data that captures the classically difficult tradeoff between speed and accuracy. As a member of the Paiute and Southern Sierra Miwuk Nations, Spencer was awarded a Postdoctoral Fellowship for Underrepresented and Disadvantaged Scholars from the University of Utah to support his on-going research on cognitive modeling. Spencer is a strong advocate for minoritized groups and is the president of the Diversity G.A.P. (Graduate Application Preparation) at the University of Utah, which prepares underrepresented students to apply to graduate school. Boehm, U., Matzke, D., Gretton, M., Castro, S.C., Cooper, J., Skinner, M., . . . Heathcote, A. (Second round revisions). Real-time prediction of fluctuations in cognitive workload. Journal of Experimental Psychology: Applied. Padilla, L., Castro, S.C., Quinan, S., & Creem-Regehr, S. (Under review). Testing Working Memory in Visualization Tasks. IEEE transactions on visualization and computer graphics. Turrill, J., Castro, S.C., Cooper, J., & Strayer, D.L. (Under review). The residual costs of mulititasking: Causing trouble down the road. Journal of Experimental Psychology: Applied. Castro, S.C., Strayer, D. L., & Heathcote, A. (2017). "Accumulating evidence about psychological processes". The 44th Annual Conference of the Australasian Society for Experimental Psychology. Newcastle, Australia. Castro, S. C., Cooper, J.M., & Strayer, D.L. (2016). "Validating two assessment strategies for visual and cognitive load in a simulated driving task". HFES 2016 International Annual Meeting. Washington, DC. Cooper, J.M., Castro, S.C., & Strayer, D.L. (2016). "Extending the detection response task to simultaneously measure cognitive and visual task demands". HFES 2016 International Annual Meeting. Washington, DC. Castro, S. C., (2013). "Spatial metaphors on the web". University of California, Santa Barbara, International Spatial Cognition Summer Institute. Isla Vista, Ca. Castro, S.C., Strayer, D. L. & Heathcote, A. (2017). Assessing cognitive load during driving with evidence accumulation models of a detection response task. Psychonomic Society 58th Annual Meeting, Vancouver, BC, Canada. Scott, E.E, Hopman, R.J., Weissinger, K., Castro, S.C., Turrill, J., Strayer, D.L. (2017). "The Benefits of No Service: Immersion in Nature Significantly Increases Mood and Life Satisfaction." Annual Meetings of the Society for Personality and Social Psychology, San Antonio, TX, January, 2017. People around the world endanger the lives of themselves and others every day by dividing their attention across multiple tasks, such as driving and talking on a cell phone. These dangers result from splitting and overtaxing our limited voluntary attentional efforts. Current tools for measuring attentional effort, also known as cognitive workload, lack insight into cognitive factors that can cause fatal errors. With the advent of new distracting technology in cars, if we do not effectively measure cognitive workload fatal human errors may grow. To quantify cognitive workload under a simulated driving-like task, the current study details our application of mathematical modeling to an International Standard for measuring ongoing cognitive workload in the vehicle. This research provides a framework for accurately quantifying cognitive workload and the factors that contribute to it, which will allow future researchers and policy makers to determine the danger inherent in many tasks within the vehicle. Read more at: Castro, S.C., Strayer, D.L., Matzke, D., & Heathcote, A. (In Press). Cognitive workload measurement and modeling. Journal of Experimental Psychology: Human Performance and Perception. R package for advanced methods of analyzing reaction time data - under development here. Previous research demonstrates that people increasingly utilize multiple displays along with mobile devices simultaneously and that this split in attention has detrimental effects on goal-directed behavior. However, few studies have assessed the impact of the physical attributes of mobile devices–including dimensions, weight and screen size–on attention. Understanding how device dimensions and screen size affect attention is an essential first step in creating safety guidelines for high-risk industries that utilize displays, such as automotive and aeronautics engineering. The aim of this work is to determine to what extent the display dimensions and screen size of mobile devices influence attention. To explore this question, participants interacted with mobile devices of varying sizes while performing a change detection task on a stationary device located behind and above the mobile device. Results of this study suggest that those using a smaller mobile device achieved higher performance on the background change detection task than those using a larger device while having similar performance in the mobile device task. This work demonstrates that when attention is divided, larger displays may be more attentionally demanding. We recommend that when users or designers are required to consider multitasking between a foreground and background task, to optimize background performance, they should utilize smaller foreground displays. Read more at: Castro, S.C., (2017). How handheld mobile device size and hand location may affect divided attention. Proceedings of the Human Factors and Ergonomics Society Annual Meeting (Vol. 61, 1, pp. 1370–1374). SAGE Publications Sage CA: Los Angeles, CA. We developed an approach of converging measures from neurological, physiological, and behavioral outcomes to determine their predictive qualities on the road, and found that simple behavioral detection tasks can simultaneously provide an ongoing measure of different components of workload (Castro, Cooper, & Strayer, 2016; Cooper, Castro, & Strayer, 2016) while having minimal impacts upon driving performance. This simple Detection Response Task (DRT) consists of a small portable microcontroller, a stimulus, and a button that provides millisecond-accurate RTs, wirelessly sends data to a computer, can be paired with other DRTs for work with dyads or groups, can be configured for Go No-Go or choice tasks, and can be easily deployed in mobile real-world settings. Read more at: Castro, S.C., Cooper, J.M., & Strayer, D.L. (2016). Validating two assessment strategies for visual and cognitive load in a simulated driving task. Proceedings of the Human Factors and Ergonomics Society Annual Meeting (Vol. 60, 1, pp. 1899–1903). SAGE Publications Sage CA: Los Angeles, CA. Cooper, J.M., Castro, S.C., & Strayer, D.L. (2016). 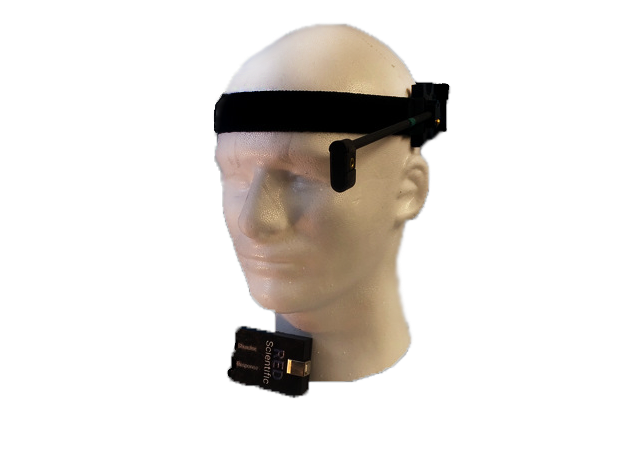 Extending the detection response task to simultaneously measure cognitive and visual task demands. Proceedings of the Human Factors and Ergonomics Society Annual Meeting (Vol. 60, 1, pp. 1962–1966). SAGE Publications Sage CA: Los Angeles, CA.